Federal Agent Elliot Ness sets out to eliminate Al Capone. Because of rampant corruption, he assembles a small, hand-picked team. I had been watching the new HBO series Boardwalk Empire, which is very very recommendable, and I wanted to get some more story about the prohibition and gangster environment i US in the 1920's and 30's. 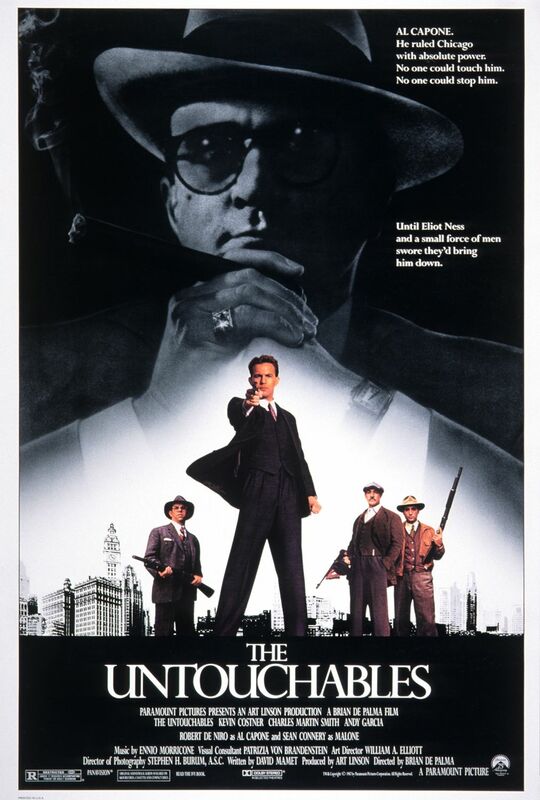 So I found a list with all the best gangster movies, and on it was The Untouchables... I have seen it before, but I think that back in early 90's when I played the Live Roleplaying game Mafia. There's some real good stuff in this movie, but what I do not like about it is the way it almost connects more to the 80's than the 20's. The cliché characters, the 80's music score and the acting just influences the experience to much in a bad direction. It's an impressive story, but this package doesn't really cut it for me.